On this eve of former President Jimmy Carter’s 88th birthday, a bit of perhaps overlooked presidential trivia is in order. 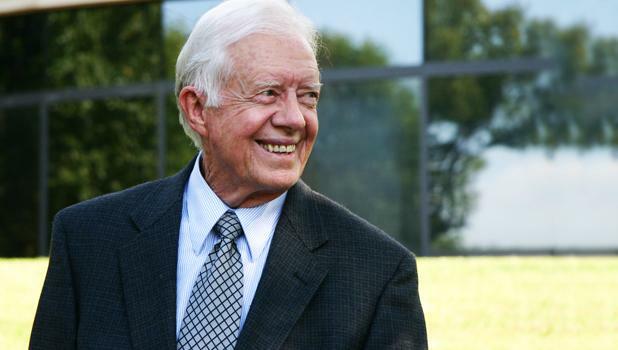 Earlier this month, on September 6 to be exact, Carter broke the record for living the longest post-presidential life. This is not to be confused with the U.S. president who lived the longest life, but rather he who has lived the most time since leaving office. Until this September, the record was held by our 31st president, Herbert Hoover, who left office in 1933 and died in 1964. Now turning another year older but whether living or not, President Carter will hold this quiet distinction for at least the next 20 years! Former President Jimmy Carter turns 88 on October 1, 2012. Well, that was a fun fact. Thank you!